On 17 October 1914, somewhere in the north of France, Louis Edmond Henri Vidaud du Dognon de Pomerait died after an explosion, surely killed by shrapnel. He was an early casualty in what later became known as the Great War. I don’t know much about this man, except that his father, Pierre Paul Vidaud de Pomerait, was the comte du Dugnon, and that his older brother, Paul Joseph, inherited the title upon their father’s death in 1907, and then so did his nephew, Jean Marie Paul, after Paul Joseph died in 1913. The second and youngest brother, Louis Edmond appears listed as the Baron Louis du Dugnon in his father’s faire-part. 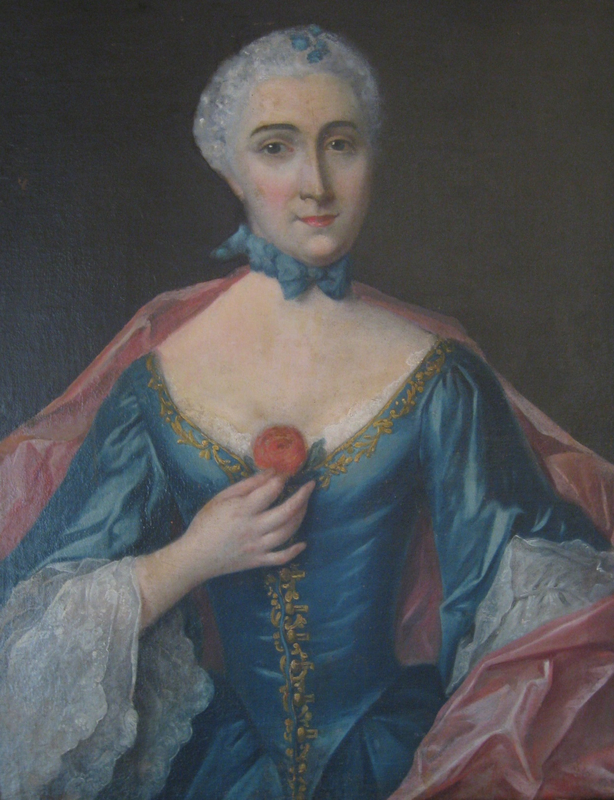 There is no Baronne because his wife, Jeanne Marthe Vilhemmie Rommelaere, a rather invisible character in the digital world, had died by then. On the web I have found copies of their marriage bans, so I know that once upon a time Louis lived at 24, rue Taitbout — in the ninth arrondissement, a mere two or three blocks from the Opéra — while Jeanne lived at 29 (I think), rue de l’Université — just off the rue du Bac and a few blocks from the Seine and the future Gare d’Orsay, in the seventh arrondissement. I have no idea how they met, but I know they were married, at the end of winter, on 18 March 1883. M. Vallantin Dulac tells us that they had no children — a branch without twigs. Several sources show that Louis was born on 30 November 1855, so he was almost sixty at the time of his death. Like his brother, he was born in Lille, but I don’t know why their parents, who appeared to be well established in Pau, ended up living so far up north, by the Belgian border, at one point. Perhaps it had something to do with the father’s business; Vallantin Dulac tells us that Pierre Paul — who became a count only in 1882 after the death of Joseph Edmond, a childless cousin — was “commissaire de surveillance administrative des Chemins de Fer” until 1872. But all these names and dates are forking paths distracting me from my linear plotting, a military death over a century ago. 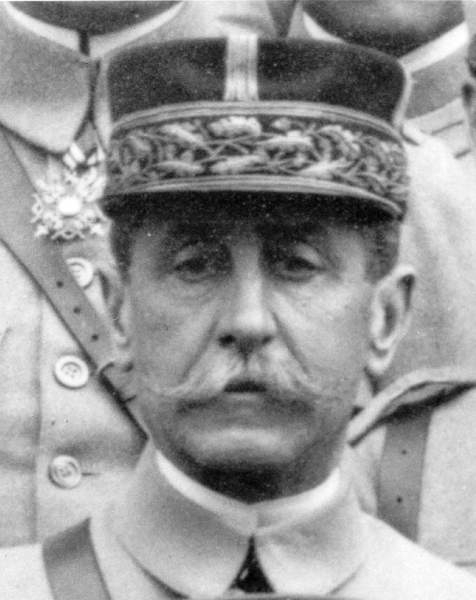 On a site solemnly called Mémoire des hommes, run by the Ministère de la défense, there is an entry devoted to our Louis Edmond Henri V. du D. de P. It states that he was a captain and that his unit was the 143rd Infantry Regiment, and there is also a mention of unqualified military glory: “Mort pour la France.” A resident of Pau, he died in a place called La Bourse, in the département of Pas-de-Calais, not far at all from his native Lille, which had just fallen to the German Army. I believe La Bourse is the town now known as Sailly-Labourse. The impressive website of Commonwealth War Graves Commission has a page dedicated to the Sailly-Labourse Communal Cemetery, featuring pictures of gray skies, green grass and gravestones, and providing an overview of the graveyard: “Rows B to G and parts of H, J, O, P, Q and R contain French graves of 1914-15, and Rows H to R contain Commonwealth graves from August 1915 to April 1917.” I don’t known whether Louis is buried there; I suspect his body was eventually transported to Pau. The CWGS also recounts the town’s role in the war: “The village of Sailly-Labourse was used for rest billets and by field ambulances for much of the First World War.” We also learn that it is close to where the Battle of Bethune took place, but that only happened in 1918. Indeed, what remains a mystery to me is what battle Louis was wounded at. On yet another website, connected to the Bibliothèque nationale de France, we read these solemn words about him: “Officier très brave, dirigeant avec beaucoup de courage les travaux de sa compagnie, chargée d’organiser des points d’appui en arrière d’une troupe exécutant un mouvement offensif. A été tué d’un éclat d’obus le 17 octobre 1917, à Mannequin.” Despite interminable googling, I have not been able to find a place named Mannequin, either town or battlefield. Perhaps toponymy is trumped by fashion; this is France, after all, and one must know where to purchase a mannequin. Perhaps there is a typographical error, and it would be one of many on that website. All things considered, judging from the date and place of his death, I would venture that Louis was wounded at either the First Battle of Arras or, more likely, the Battle of Armentières, and then, I would imagine, transported by field ambulance to the tiny village of La Bourse, where he finally died, far from the peaceful Pyrenees. On the web, where he resides in hard-to-reach nooks and crannies, the ghost of Louis Edmond Henri wears forever a soldier’s uniform. The language that tells of his death is sweet and decorous — the old lie. Bravery and courage give way to the horrors of combat, but it all remains rather abstract. At this very moment and place in which I write, 3:14 a.m. in a preternaturally silent Los Angeles, I try to see and hear the éclat d’obus, the exploding shell, that killed my distant relative in the autumnal fields of France, and I can’t. 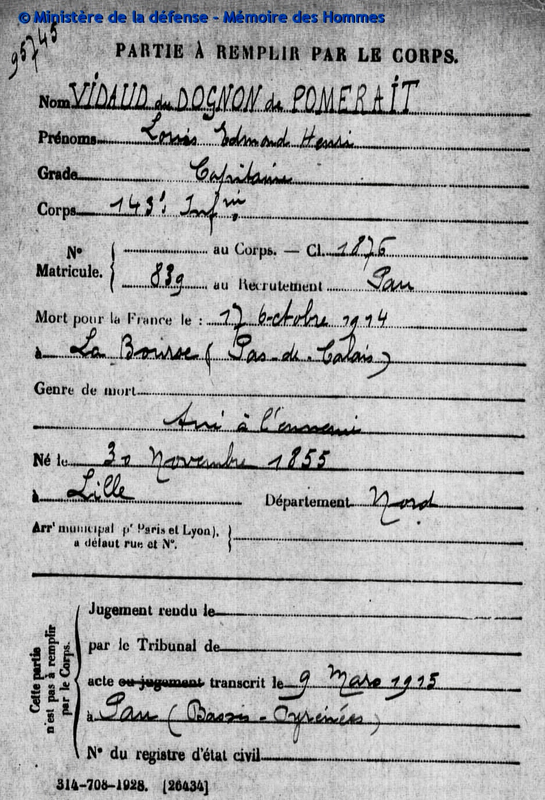 The web has yielded a card — a “Partie à remplir par le corps” — from 1915, posted here, that transcribes the original record of his death in 1914. The military document is as laconic as Louis’ father’s faire-part is profuse. The grammar is different; instead of one long subject composed of relatives’ names coming together from France, Cuba, Spain and the United States, here we have mostly blanks to be filled in with cold clinical facts. Most frightening is this: “Genre de mort: tué à l’ennemi.” It is a strange phrase, this kind of death, this being killed by the enemy, an idiom from an old war, or, as Wikipédie would have it, “l’expression militaire utilisée en France sur les documents administratifs des soldats tués lors de la Première Guerre mondiale.” When everything is said and done, what we have is the skeletal record of a solitary death. The shrapnel that destroyed his body also detached him forever from the family in Pau. But not only him. The war, it seems to me, would also mark the end of a transatlantic family: there are no more faire-parts, as far as I know, where all, if only through the protocols of mourning, are reunited as one body. Fanny G. Vidaud would still cross the ocean several times, and letters would arrive in Cuba from Barcelona telling the stories of those who lived in France, and Nunú would make a record of some of these things. 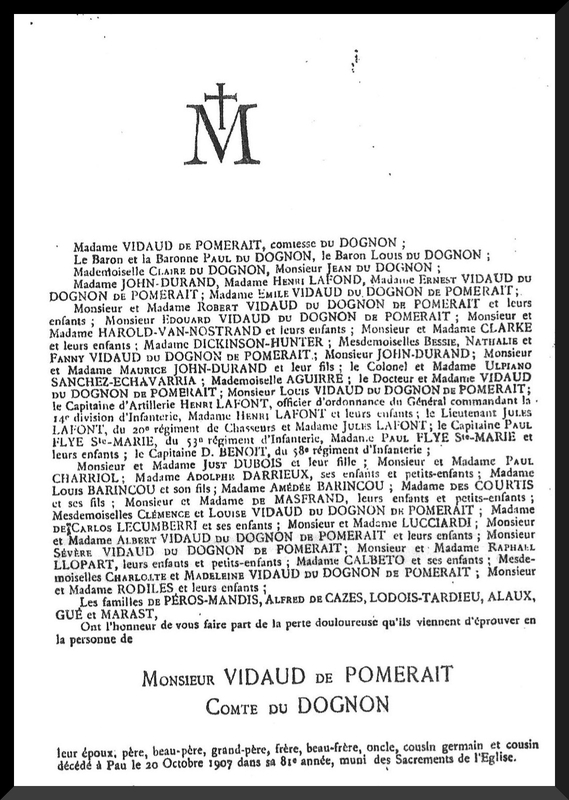 But the long nineteenth-century story in which persons surnamed Vidaud du Dognon de Pomerait knew of each other, even if many of them never met in the flesh, would finally reach a quiet denouement. At the idyllic La Reunión, in the distant forests of the Sierra Maestra, my grandmother, a nine-year-old girl in the first few months of the war, would hear news of the European conflict from her French-speaking grandfather, a citizen of France who, as far as I know, never once crossed the Atlantic. 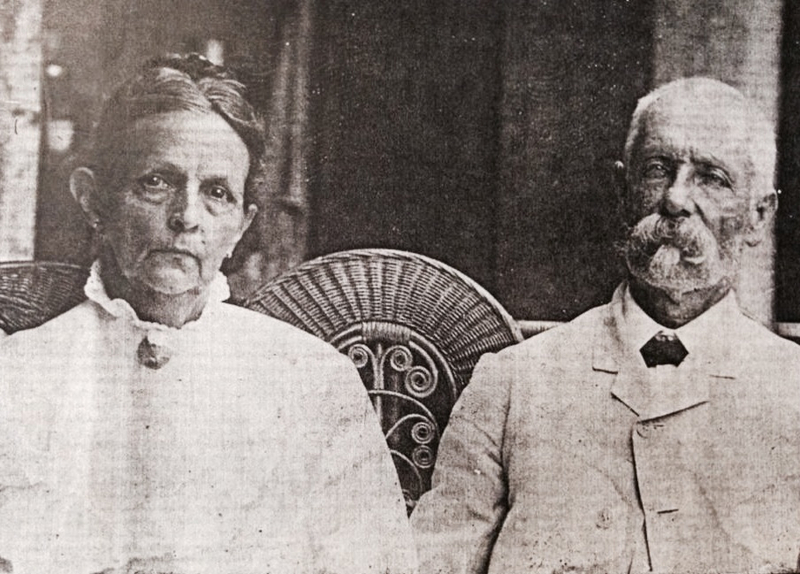 A few months later, as the war raged on, a Swedish botanist seeking to catalog the flora of Cuba would arrive at La Reunión and gather and label a few modest leaves, which he would then send to a herbarium in Massachusetts. Decades later, a willful insomniac not far from the Pacific, the Blogger would find an image of those luminous leaves online. It is my own private botany, and through its means I’m seeking now to revive poor L.E.H. V. du D. de P., dead for more than a century. In digital fields the poppies blow and grow, but these rows and rows of letters can do little to give some flesh to the man.